You’ll find more to see and do in this area than any other part of the country. 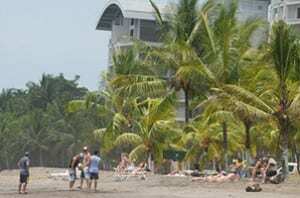 From Costa Rica’s best zip line canopy tours, ATV tours, white water rafting, world class surfing, shopping, dining and robust nightlife, Jaco Beach has everything to make for the ultimate Costa Rica vacation experience. 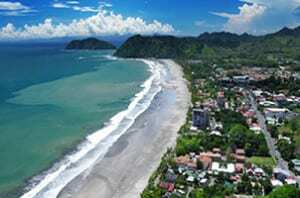 Jaco, Costa Rica is located on the Central Pacific coast aproximately 117km (75 miles) from downtown San Jose. 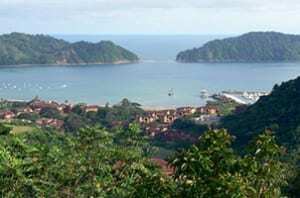 Less than 1.5 hours by car from the Juan Santa Maria airport, Jaco is the closest beachfront tourist town for travelers to visit. Over the last 10 years, Jaco has grown exponentially and is one of the most popular destinations in the country. Temperatures in this area average in the low 80’s to low 90’s and rainfall is common in the afternoons during the months of May through the end of November. Los Sueños, Costa Rica is located within the town of Herradura, which is situated about 5km (3 miles) north of Jaco. The 1,100 acre master planned Los Sueños resort and marina is one of the premiere sport fishing locations in the world. With a private rainforest reserve, 201 room Marriott hotel, luxury condos and houses, exclusive beach club, fine dining options, boutique shopping,and an 18 hole championship golf course, this is definitely a place to spend some time exploring and enjoying their facilities.